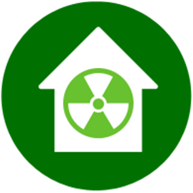 Radon is a radioactive gas that is odorless, colorless, and tasteless. This naturally occurring gas is the second leading cause of lung cancer in the United States (behind smoking), and testing is the only way to know if you and your family are at risk. The EPA and the Surgeon General recommend radon testing for all homes below the third floor. 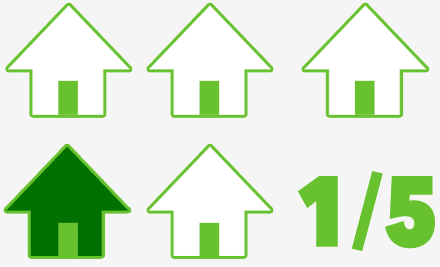 The latest studies show that 1 in 5 homes in the U.S. have elevated radon levels. 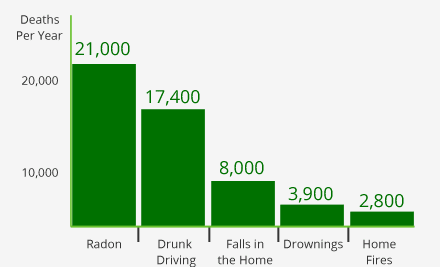 What’s worse, there are no symptoms of radon exposure for up to a year. The only way to be safe is to have your home tested for radon. Franklin Environmental Services will test for radon in your home, and then mitigate radon that is found. We are certified by the National Radon Proficiency Program and are experts in finding and eliminating this deadly gas. Franklin Environmental Services is the number one choice for Radon Testing and Radon Mitigation in Nashville, Brentwood, Franklin and all of Middle Tennessee. Contact us today to get started. more deaths per year than drunk driving in the U.S.